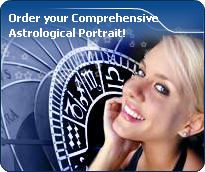 You will find on these pages astrological charts of thousands of celebrities with Kronos in Libra. The source for the date and time of this event comes from Marc Penfiled, at https://www.astrologysoftware.com/resources/lore/astro_search_result.asp.by=name Manhattan (/mænˈhætən, mən-/), often referred to locally as the City, is the most densely populated borough of New York City, its economic and administrative center, its cultural identifier, and its historical birthplace. Blaise Pascal (pronounced ), (June 19, 1623–August 19, 1662) was a French mathematician, physicist, and religious philosopher. He was a child prodigy who was educated by his father. Pascal's earliest work was in the natural and applied sciences where he made important contributions to the construction of mechanical calculators, the study of fluids, and clarified the concepts of pressure and vacuum by generalizing the work of Evangelista Torricelli. Eleanor of Aquitaine (Aliénor d'Aquitaine in French), Duchess of Aquitaine and Gascony and Countess of Poitou (1122 –April 1, 1204) was one of the wealthiest and most powerful women in Europe during the High Middle Ages. She was Queen consort of both France and England in turn and the mother of both King Richard I and King John. Antony or Antonie (October 24, 1632 - August 30, 1723), full name Thonius Philips van Leeuwenhoek (pronounced 'vahn Layvenhook') was a Dutch tradesman and scientist from Delft, Netherlands. He is commonly known as "the Father of Microbiology". Born the son of a basket maker, at age 16 he secured an apprenticeship with a Scottish cloth merchant in Amsterdam. The source for this event comes from Marc Penfield, on http://www.astrologysoftware.com/resources/lore/astro_search_result.asp.by=name (search for Montreal). Montreal (Listeni/ˌmʌntriːˈɒl/); (pronounced: ( listen)) officially Montréal in both Canadian English and French, is the most populous city in Quebec and the second most populous municipality in Canada. Jean-Baptiste Colbert (August 29, 1619 – September 6, 1683) served as the French minister of finance from 1665 to 1683 under the rule of King Louis XIV. He was described by Mme de Sévigné as « Le Nord » as he was cold and unemotional. Christina (Swedish: Kristina) (18 December 1626 – 19 April 1689), later known as Maria Christina Alexandra and sometimes Countess Dohna, was Queen regnant of Sweden from 1632 to 1654. She was the only surviving legitimate child of King Gustav II Adolf of Sweden and his wife Maria Eleonora of Brandenburg. Jean Racine (December 22, 1639 – April 21, 1699) was a French dramatist, one of the "big three" of 17th century France (along with Molière and Corneille). Racine was primarily a tragedian, though he did write one comedy. Life Born in La Ferté-Milon (Aisne), Racine was orphaned at the age of three(or 4) and received a classical education courtesy of his grandmother. Jacques-Bénigne Bossuet (September 27, 1627 - April 12, 1704) was a French bishop and theologian, renowned for his sermons and other addresses. He has been considered by many to be one of the most brilliant orators of all time and a masterly French stylist. Charles II (29 May 1630 OS (June 8, NS) (birth time source: Martin Harvey, Sy Scholfield, from various biographies, Astrodatabank – 6 February 1685) was the King of England, Scotland, and Ireland. Charles II's father King Charles I was executed at Whitehall on 30 January 1649, at the climax of the English Civil War. Henry II of England (called "Curtmantle"; 5 March 1133 – 6 July 1189) ruled as King of England (1154–1189), Count of Anjou, Duke of Normandy, Duke of Aquitaine, Duke of Gascony, Count of Nantes, Lord of Ireland and, at various times, controlled parts of Wales, Scotland and western France. The source for the date and time of this event comes from Marc Penfiled, on https://www.astrologysoftware.com/resources/lore/astro_search_result.asp.by=name Brooklyn (/ˈbrʊklɪn/) is the most populous borough of New York City, with a census-estimated 2,648,771 residents in 2017. Named after the Dutch village of Breukelen, it borders the borough of Queens, at the western end of Long Island. Father Jacques Marquette SJ (June 1, 1637 – May 18, 1675), sometimes known as Pere Marquette, was a French missionary who founded Michigan's first European settlement, Sault Ste. Marie, and later founded St. Ignace, Michigan. Father Marquette and Louis Jolliet were the first non-Native Americans to see and map the northern portion of the Mississippi River. Bernard le Bovier de Fontenelle, also referred to as Bernard le Bouyer de Fontenelle (11 February 1657 – 9 January 1757) was a French author. Fontenelle was born in Rouen, France (then the capital of Normandy). He died in Paris, having very nearly attained the age of 100 years. François Michel le Tellier, Marquis de Louvois (18 January 1641 – 16 July 1691), was the French Secretary of State for War for a significant part of the reign of Louis XIV. Louvois and his father, Michel le Tellier, would increase the French Army to 400,000 soldiers, an army that would fight four wars between 1667 and 1713. Leopold I (name in full: Leopold Ignaz Joseph Balthasar Felician; Hungarian: I. Lipót) Habsburg (9 June 1640 – 5 May 1705), Holy Roman Emperor, King of Hungary, King of Bohemia, was the second son of the emperor Ferdinand III and his first wife Maria Ana of Austria.